When booking the test, choose a time that’s convenient for you and the person taking you to the test. Although weather is difficult to predict when you’re booking your test it will be an important factor of the day. It’s a good idea to ensure you’ve exposed yourself to poor conditions while learning as you’ll be expected to adjust your driving to the conditions (e.g. slowing down, leaving larger gaps when following and requiring larger gaps when entering traffic). NOTE: DO NOT book the Hazard Perception Test and Drive Test on the same day. Although this might seem like a convenient idea, if you don't pass your HPT, you won't be able to take the Drive Test later that day. You should pass your HPT before you book your Drive Test. This way you can guarantee you won't have to reschedule or pay additional appointment fees. A good plan is to book a final driving lesson with your driving instructor on the day before or the day of your Drive Test. 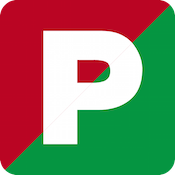 A local, accredited driving instructor will likely know the routes taken by the VicRoads testing officers and where they will ask you to perform required manoeuvres. You can use this last lesson as a test-run for the real thing, acting out the entire process with your instructor providing feedback where necessary to improve your performance for the real test. Make sure you’re aware of what you need to bring to the test (including vehicle requirements) and the test and licence fees you will have to pay. These administrative details can be found on the VicRoads website. There are a number of fail items that will prevent you from passing. Details on these items can be found in the Driving Test VIC summary of the Drive Test Criteria. For comprehensive information on probationary licensing and the Drive Test, please refer to the VicRoads website. The above information is a summary of this content and although current when published may now be outdated. To ensure you are accessing the most current and accurate information, use the VicRoads website or visit your nearest VicRoads Customer Service Centre.